The Kim-Trump summit scorecard: who came out on top? The Kim-Trump summit should not be interpreted through the lens of Northeast Asia alone. In important ways, it was a test case for President Trump’s approach to international relations more generally: ad hoc, highly personalized and transactional. And as the reviews accumulate, it is clear that the summit is getting pretty critical treatment at home. 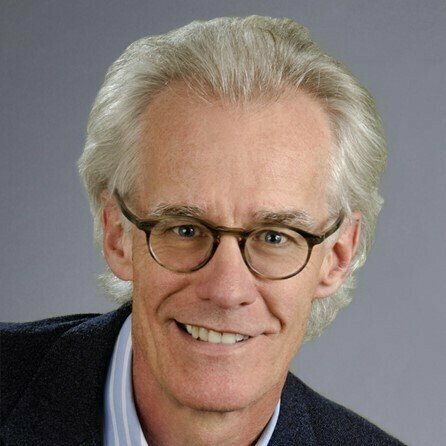 Nicholas Kristoff at the New York Times was early out of the blocks, but the sentiment extended to the right of the political spectrum as well (for example, Bruce Klingner on NPR). Outside the administration’s supporters, assessments range from “wait and see” to “debacle.” Given that we still know so little about what the substantive negotiations around the summit have accomplished, I remain in the former camp. Judged on its face, however, it looks like Kim Jong Un came away with more than he could have possibly imagined. 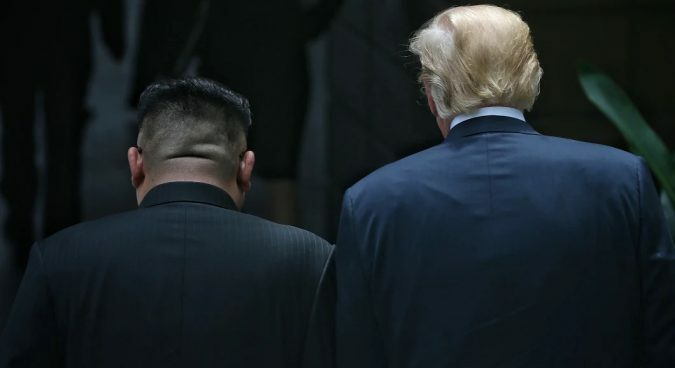 To begin with the summit document itself, it was surprising not only in its brevity and lack of substance, but in a host of signals that the North Korean team had subtly stage-managed the agenda. The very order of the four bullet points—improving and normalizing the DPRK-U.S. relationship; working toward a peace regime; denuclearization; and the return of soldiers’ remains—demonstrate Kim Jong Un’s priorities. Any discussion of denuclearization must be undertaken in the context of the first two parts of the agreement. Three things are striking about this formulation. 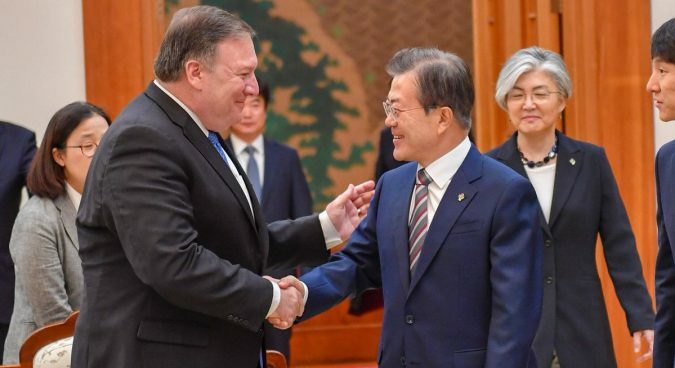 First, by casting denuclearization in terms of the Panmunjon Declaration, the joint statement not only empowers Moon Jae–in but the pro-engagement wing of his coalition. The big win for the ruling party in local and bi-election National Assembly elections are telling, and should be read as a referendum on Moon’s approach. The Panmunjom document outlines a series of steps to improve North-South relations, but from the perspective of the U.S. it relegates denuclearization to the very last substantive paragraph. Second, American officials—and most notably Secretary Pompeo—have repeatedly said that North Korea is committed to denuclearization. Unfortunately, the joint statement does not make any such a commitment. The formulation that North Korea will “work toward” denuclearization is a victory for the “words for words, action for action” concept of incrementalism Pyongyang has long favored. And finally is the restatement of the North Korean formulation of “complete denuclearization of the Korean Peninsula.” A number of analysts have made much of this formulation, including Mira Rapp-Hooper in a conversation with Ben Wittes and me at Lawfare. Rapp-Hooper argues that this proves that the parties remain far apart on what denuclearization even means, with the longstanding North Korean conceptions stretched to include exercises, deployment of strategic assets, troop levels and even the extended deterrent itself. I take a subtly different view that the “denuclearization of the Korean peninsula” formulation is simply stating the obvious: that the U.S. will need to provide some sort of security assurances. But none of those are laid out, even in prospective form, beyond the aspiration of reaching a peace regime. 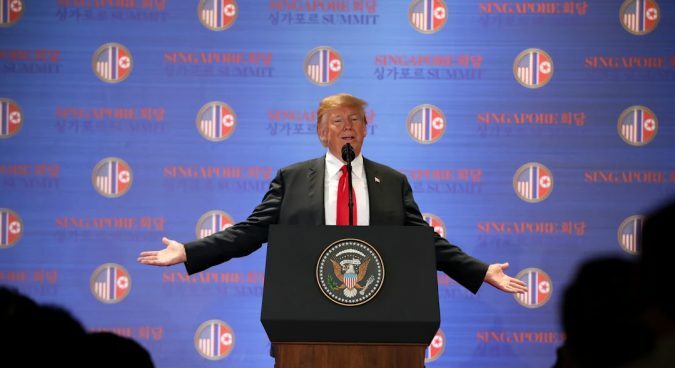 The biggest shock of the summit came in President Trump’s press conference, where he not only promised to pause exercises but described them as provocative, costly and unnecessary. He even suggested that U.S. troops might even be withdrawn altogether. A strange characteristic of the Trump administration is that such statements are easily walked back; in a speech at the Shangri La Dialogue earlier in the month Secretary Mattis insisted that U.S. troop levels were a matter of negotiation between Washington and Seoul, not Washington and North Korea. But even conservative outlets caught Secretary Pompeo’s suggestion on Monday—however subtle—that such issues could ultimately be on the table. However, the damage was already done by Trump’s remarks. If the North Koreans are pushing an open door with respect to U.S. commitments to the alliance, why should they pay for it with their own concessions? The wider context of this concession also bears emphasizing. China and Russia, as well as North Korea, end up on the winning side of a long-standing debate about the value of the freeze-for-freeze proposal. As recently as January, then-Secretary Tillerson denied the utility of such an interim step in the absence of wider progress. Now, the main effective outcome of the summit could well be precisely what the Chinese have long proposed: a freeze in which the U.S. suspends legitimate defensive measures while North Korea suspends testing of weapons systems that the UN Security Council has repeatedly proscribed. An apparent sideshow—the issue of the return of American remains—has not got the attention it deserves. Trump’s conception of a “win” is less strategic than political. He has been extraordinarily consistent—if not always successful—in pursuing campaign promises and in appealing to his base. In this regard, his commitment to the POW movement could well prove another costly sideshow. Returning these remains and providing an accounting is certainly a worthwhile and humane thing to do. But we have gone through this exercise before, spending millions of dollars between 1996 and 2005 to recover several hundred remains. Again, if this is the coin with which North Korea pays for broader U.S. concessions, Kim Jong Un will be happy to oblige. Given these negatives, why remain hopeful at all? The first reason is that it is better to be where we are now rather than the near-panic of last September when the sixth nuclear test generated serious discussion of military options. But the second reason is that despite the apparent shortcomings of the summit itself, we still don’t know that much about where negotiations actually stand. It is clear that the two negotiating teams could not get to a more robust joint statement, for example with more significant interim steps, some goals and timelines. But did they fall just short or are the parties still staring across a deep chasm? Kim Jong Un no less than Donald Trump showed pretty strong interest in getting to Singapore. This at least suggests that he wanted to move the diplomatic process along, particularly to secure some sanctions relief. If China and South Korea go along, the subsequent negotiations, in all their complexity, will be made just that much more difficult. The outcome of the summit will not only be adverse to U.S. interests in the short-term, but going forward as well. But until we hear more from the administration on subsequent negotiations, we are no farther along after the summit than we were before it. The Kim-Trump summit should not be interpreted through the lens of Northeast Asia alone. In important ways, it was a test case for President Trump’s approach to international relations more generally: ad hoc, highly personalized and transactional. And as the reviews accumulate, it is clear that the summit is getting pretty critical treatment at home. Subscribe to read the remaining 1218 words of this article.